Atalanta are looking for their third coach this campaign and their fourth in under a year after Antonio Conte's exit. (CNN) -- Atalanta coach Antonio Conte has resigned from his post in charge of the Serie A strugglers. The Nerazzurri slipped to a 2-0 home defeat against Napoli on Wednesday, sparking a wave of fan protests outside the Stadio Atleti Azzurri d'Italia. Conte tried to present his resignation after the match but it was rejected by the Atalanta directors. However, the former Juventus captain announced on Thursday that he has become the second coach this season to leave the relegation-threatened team. "This is right at this time," Conte told reporters as he left Atalanta's training ground. "It's me who has decided to leave. "I already presented my resignation last night, but I was rejected. Having reflected on it all night, I then decided to present it again. "My regret is that I couldn't do all that I had in mind, but I leave a lively squad, with which I got 13 points, so it's not a disaster. "Is it a black mark in my career? No, if anything the black mark is what happened with the fans." Atalanta are now looking for their third coach this campaign and their fourth in under a year. 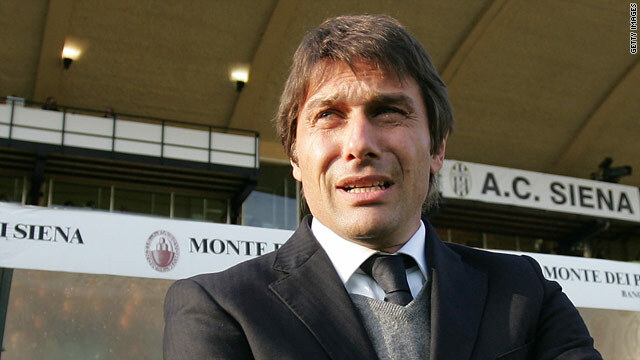 Conte replaced Angelo Gregucci on September 21 after the former Vicenza coach, who had succeeded Luigi del Neri in June, lost his first four Serie A games in charge. Atalanta have improved since then and indeed secured a notable draw against Inter Milan last month, but still lie 19th in the standings.